We have all seen pictures or watched movies, like Jurassic Park, with dinosaurs in them. 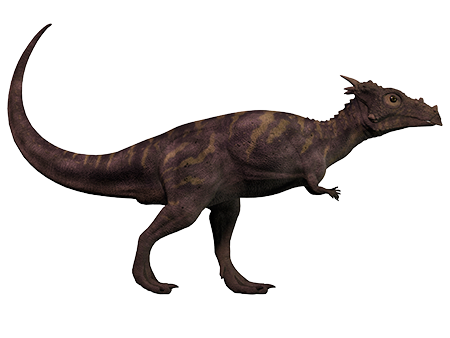 Sometimes the dinosaurs are beautifully colored, with stripes or assorted spots, and sometimes they are merely gray like a rhinoceros or elephant. In videos, dinosaurs make all kinds of different sounds, from Earth-shaking roars to high-pitched chirps and screeches. The way they move and the things they do when they hunt are shown as though scientists saw them in the field alive yesterday doing those things. Without realizing it, we immediately come to believe that the things we are seeing or hearing in the movies are known to be true. But are they? 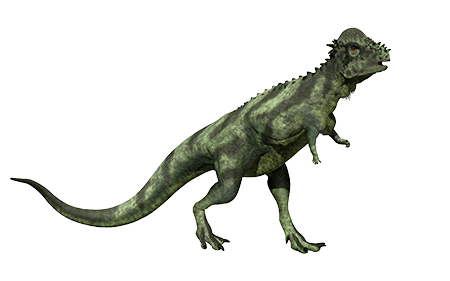 For many years paleontologists portrayed many of the dinosaurs without feathers (the Velociraptor, for example). 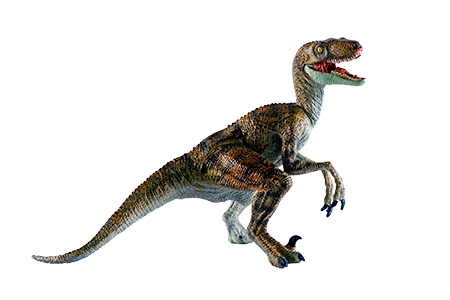 After further study, some paleontologists now believe that some dinosaurs, like the Velociraptor, actually had feathers. That’s hardly what they looked like in Jurassic Park I! The truth is, however, no dinosaur fossil has ever been found with feathers on it. Also, in the movie, Raptors were depicted as hunting in packs, but after further study, scientists have had to back away from that idea. 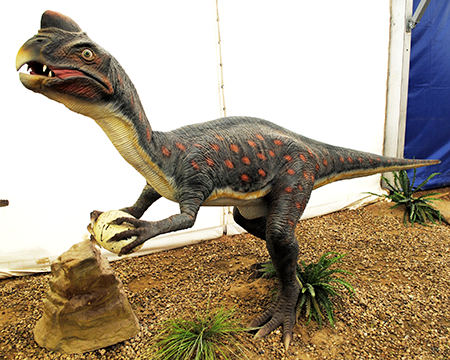 The dinosaur species Oviraptor, which means “egg thief,” was given its name because scientists thought it stole eggs, but after further study, they now believe it guarded eggs—not stole them. A few years ago, paleontologists at UC Berkeley announced that about one-third of the dinosaur species paleontologists had named were probably not new species, but just dinosaurs in different stages of growth. 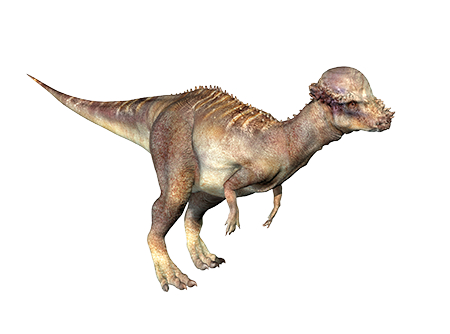 Dracorex and Stygimoloch (STIG-ih-MOE-lock), for example, are now believed to be the immature forms of Pachycephalosaurus (pak-ee-SEF-uh-lo-SAWR-us). Paleontologists depict dinosaurs as living apart from humans by millions of years, in an ancient, very volcanic Earth. The Bible, as well as historical and physical evidences (like ancient burial stones, figurines, artwork, carvings, and stories), actually prove that dinosaurs and humans lived at the same time. How do many scientists make such blunders that do not agree with the Bible or with the evidence? 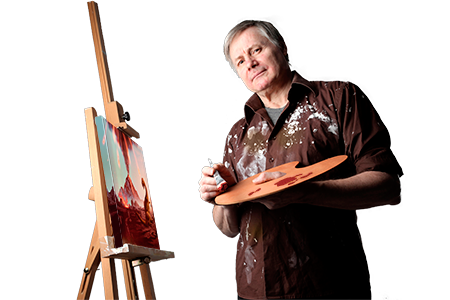 Paleoartists are artists that try to draw things from the past that no one today has seen, like dinosaurs or extinct creatures. What is not always known by people that see paleoart is that paleoartists generally make their drawings based on very little evidence, or the wrong kinds of evidence. A few fossilized bones will be found and an entire creature will be drawn from that small amount of evidence. Since all they usually have to work with are fossilized bones or casts of the bones—not actual skin and flesh, for example—they do not know with certainty how the dinosaurs actually looked on the outside, the organs they had on the inside, or how they sounded or moved. What color were they? What was their skin texture like? Did they really roar like the Tyrannosaurus Rex in Jurassic Park? Did some species have special abilities, like the dinosaur-like Leviathan of the Bible that could breathe fire (Job 41)? Bones do not give many of the answers to such questions, and so paleoartists guess or conjecture.